Submitted 1 year 5 months ago by lucky84. 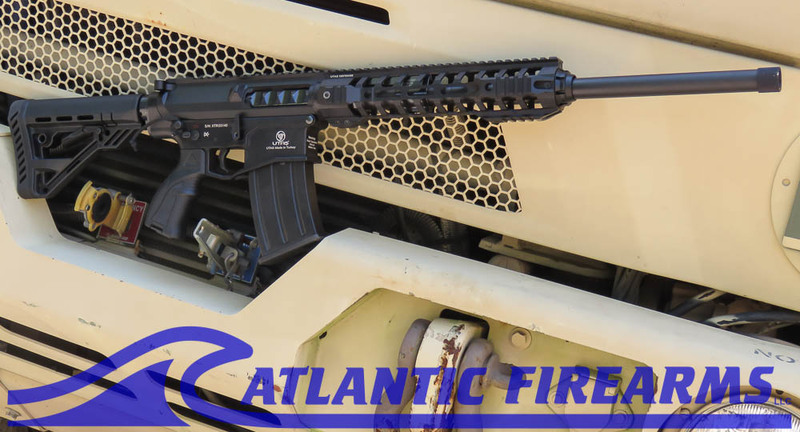 California Legal XTR-12 Shotgun is a Rugged Tactical Magazine fed Semi-Auto shotgun on the AR style platform. , This model is designed to meet the current CA DOJ laws regarding shotguns with detachable mags . The XTR has a fixed magazine and you must pull the rear take down pin in order to load or release the mag . If you are looking for a well balanced Rock Solid mag fed shotgun this is the one for you . The XTR has the familiar AR15/AR10 Ergonomics and is easy to pick up and use with out the learning curve of a new design . The UTAS XTR-12 is the world's first AR-10 based semi-automatic shotgun the XTR-12 is the only one that doesn't only look like an AR design, but also sports several technical similarities. The XTR-12 is a short-stroke piston-driven gas-operated shotgun and comes with a rotating bolt head and six locking lugs; the XTR-12 bolt is indeed an AR-10 type bolt beefed up in size for the 12-gauge shotshells. Feeding through a detachable magazines 12-gauge shotshells with a 76mm/3" ("Magnum") case, the UTAS XTR-12 semi-automatic shotgun comes with a 18,5" long 4140 stainless steel machined barrel adapted to use several types of chokes; the bolt is manufactured of the same 4140 stainless steel, while the structure is manufactured out of lightweight aluminum alloy and magnesium, in order to keep the weight to acceptable levels. The UTAS XTR-12 semi-automatic shotgun comes with an M4-type ergonomic pistol grip and a five-positions collapsing polymer stock (collapsing stock is fixed in position to comply with current CA regulations), and strips in two receivers just like an AR-15 .The XTR-12 sports fully ambidextrous controls and several MIL-STD-1913 "Picatinny" rails for several types of Optics or tactical accessories. Comes with one 5 round magazine. Backed by a 1 year UTAS Factory warranty. Does not come with Sights ,Flash Hider ,scopes or flashlight shown in pictures for demonstration purposes.